Dr Frankie Swords, a Consultant Endocrinologist at the Norfolk and Norwich University Hospitals NHS Foundation Trust and Clinical Director of the Diabetes and Endocrinology Team. She’s also an honorary senior lecturer in medicine at the University of East Anglia. Frankie trained in Oxford and London before undertaking her diabetes and endocrinology training at St Bartholomew’s and the Royal London Hospitals. In 1999, she entered full time research for which she was awarded a Wellcome Clinical Research Fellowship. During this time, she developed a clinical research interest into the treatment of pituitary disorders, and a scientific research interest and PhD on adrenal disease. She was awarded the Medical Research Society prize for endocrinology and the William Harvey Research Institute Young Investigator of the year award for this work. Dr Swords returned to clinical medicine in 2004 and completed her endocrinology training at St Bartholomew’s Hospital, in London, before taking up her appointment in Norwich in April 2008. Dr Swords is passionate about clinical medicine, improving patient care and teaching. She’s the author of the award-winning www.endobible.com – an online tool for endocrinology diagnosis and management – and speaks regularly both nationally and internationally. Dr Tristan Barrett is a University Lecturer in the Department of Radiology at the University of Cambridge and an Honorary NHS Consultant Radiologist. Tristan graduated from St George’s Hospital Medical School, London in 2002. After completing his exams, he worked as a Visiting Fellow at National Institutes for Health, USA in the Molecular Imaging Program from 2005 to 2007, under the tutelage of Dr Peter Choyke. Research projects at NIH included prostate cancer MRI, angiogenesis imaging, and the bench-side development of targeted contrast agents. He trained in radiology at Addenbrooke’s Hospital, Cambridge, and developed an interest in education, becoming a Fellow of the Higher Education Academy, and co-authoring books for medical students and residents. He has written six book chapters in radiology text books, and and published nine review articles. On completion of radiology residency, he undertook a fellowship in body imaging at the University of Toronto, Canada. His main clinical research interest is in prostate cancer, with a particular interest in multi-parametric MRI techniques for identifying and characterising prostate tumours. Dr Sarb Clare graduated from the University Of Manchester in 1999. She was one of the first Acute Physicians in training and played a pivotal role in developing the training curriculum of acute medicine. She is an Acute Physician at City Hospital in Birmingham, and has an extensive portfolio of training and education. Dr Clare has a Masters in Medical Education and has created innovative courses addressing the acutely unwell patient. This includes Golden Hour training, USS at the Front Door and the PTWR Carousel. In addition she delivers IMPACT, ALS and ALERT. Her specialist interest is Echocardiography and USS at the front door. With BSE accreditation she has created an admission avoidance clinic – the Acute Echo Clinic – and heavily involved in training SpR’s to FEEL and BSE level. She has embedded Echo and USS as part of the assessment of the unwell patient and shown that it leads to prompt diagnosis and decreased length of stay. 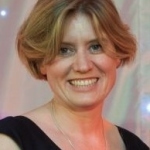 She is an active member of the West Midlands GIM Committee and passionate about raising the profile of generalism in light of the RCP Future Hospital Report. Dr Will Davies is a Locum Consultant Cardiologist at Papworth Hospital NHS Foundation Trust with specialist interests in percutaneous coronary intervention for coronary artery disease and structural intervention for degenerative valvular disease. 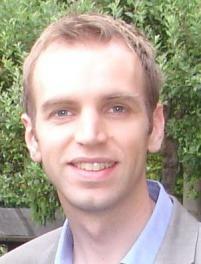 Dr Davies graduated from the University of Sheffield in 1998, before training in Cardiothoracic Surgery. He was awarded Membership of the Royal College of Surgeons in 2001. During his period of surgical training, Dr Davies was appointed as the William J von Liebig Scholar in Cardiothoracic Transplantation at the Mayo Clinic, USA where he studied towards a Doctor of Philosophy research degree. His work on the role of circulating progenitor cells post cardiac transplantation led to him being honoured with the Mayo Clinic and Foundation Award for Individual Excellence. On returning to the UK he worked as a Specialist Registrar for 18 months on the cardiac surgery service at Papworth, including a six month period within the Transplant Team. Having experienced first-hand the exciting advances in minimally invasive valve therapies whilst in the US, Dr Davies undertook cardiology training within the Eastern Deanery and gained Membership of the Royal College of Physicians in 2009. His Fellowship at St Thomas’ Hospital, London allowed him to work alongside the pioneers in the field of minimally-invasive heart valve implantation. Dr Davies’s unique training in both cardiac surgery and cardiology allows him to understand the relative strengths and weaknesses of both specialties when dealing with the patient with complex cardiac pathology. 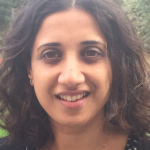 Resham has been a North West Thames cardiology registrar since 2007 and is currently rotating through the North Thames Heart Failure fellowship at the Royal Brompton Hospital. As part of the rotation she has worked in advanced heart failure and transplantation at Harefield Hospital and cardiomyopathy at The Heart Hospital. She completed her PhD in periodic breathing and heart failure in 2010 and has over 15 publications in heart failure and imaging. In 2008, she was awarded Winner British Junior Cardiology Research Awards, and in 2010 was Finalist Young Investigator Award at the British Society of Cardiology and won the Young Investigator Award, at the European Society of Cardiology Heart Failure, Berlin 2010. She has presented internationally, taught at the cardiology training days and teaches on the FEEL echo course. She is also the North West Thames BJCA representative.